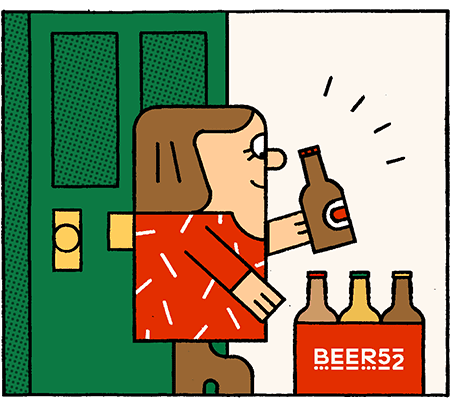 Bristol-based Nicci Peet spends her life watching the beer scene bloom up around her with precise, curious eyes, always watching for the best light to go with the freshest beer. Nicci is a photographer, photojournalist and activist within the beer industry and beyond; a quiet riot under a dark fringe and warm smile. An interest in beer led Nicci to pursue photography inside the industry, as well as outside in the midst of the revellers. Four years after moving her life and her heart into Bristol, she’s seen gradual changes that have moved the beer scene along gently but irreversibly, in a direction she didn’t see coming. Nicci’s activism speaks to many members of the beer community. Women In Beer showcases images of women who brew, manage, support or market beer in the UK, and celebrates their work in what’s often seen as a male-dominated sphere. On top of this, Nicci’s work documents the history of craft beer as we live it, so we never lose sight of how our scene has evolved in different ways, in different areas, for different reasons.